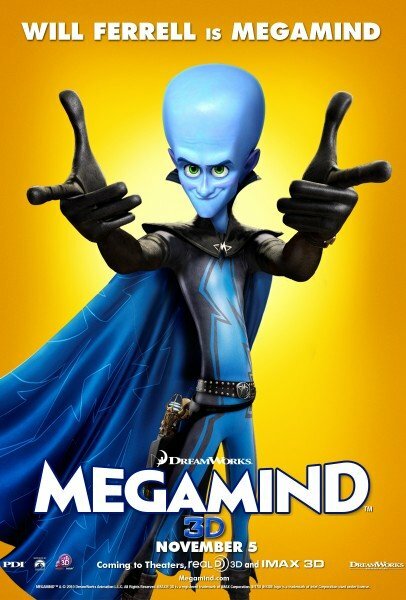 Dreamworks’ Megamind has managed to put two things I don’t particularly enjoy, Will Ferrell and 3D, into something I’m actually pretty intrigued by. The film takes a shot at the superhero movie from the opposite side, putting the “villain”, so to speak, at the forefront of the film and the “hero”, who is obnoxiously smug here, into the second fiddle chair. 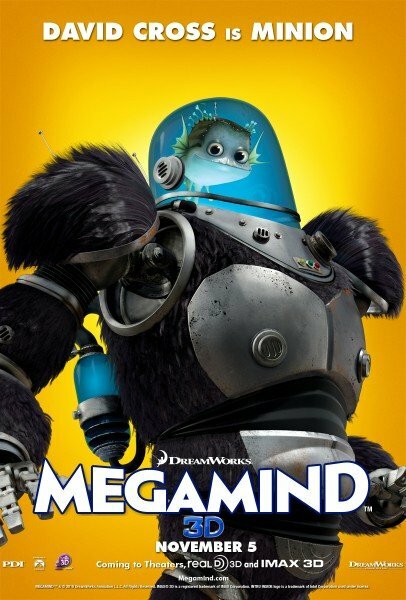 UK film site HeyUGuys has their hands in Dreamworks’ pocket this week as they’ll be getting new character posters each day, starting with this morning’s images for Ferrell’s character, the titular Megamind, and David Cross’s Minion, comprised of a fish controlling a mechanical gorilla body. Awesome. Here are the first couple of character posters, but expect to see several more as the week progresses. Check them out below, and see the movie November 5th.